For defending the body against the effects of radiation. Helps detoxify electro-magnetic frequencies from the connective tissue matrix. The human body suffers constant assaults from many types of radiation, including natural and man-made sources. RADINEX drops help defend the body against the debilitating effects of environmental radiation or electro-stress. 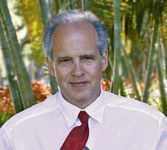 In addition, this versatile remedy promotes the excretion of biologically incompatible electro-magnetic frequencies from the connective tissue matrix, including those caused by exposure to cell phones, computers, power lines and other sources. When combined with NEU-regen syrup and VISCUM drops, RADINEX drops also help detox and soothe the nervous system. This versatile remedy promotes the excretion of biologically incompatible electro-magnetic frequencies from the connective tissue matrix, including those caused by exposure to cell phones, computers, power lines and other sources. 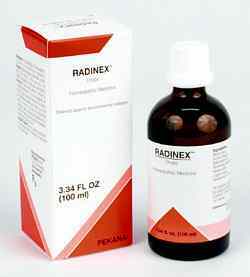 When combined with NEU-regen syrup and VISCUM drops, RADINEX drops also help detox and soothe the nervous system. Renelix or Psy-Stabil. If indicated, these remedies can be alternated with Radinex. It is common for this remedy to require a loading dose of ¼ teaspoon taken twice daily for about 1 week, then decrease dose to 5 drops 2 times per day to maintain effect. Generally used in protocols for 2 to 4 weeks duration. Allium cepa 2X provides the body with Sulfur that plays an essential role in detoxification processes. It also acts as a mitogenic agent by supporting the development of healthy new cells. Finally, this substance stimulates excretion and diuretic capabilities. Arctium lappa 3X is an old healing plant of Paracelsus important for treating mercury poisoning. It also helps relieve eczematic skin diseases, gout, rheumatism and uterine prolapse, and helps clean the blood of metabolic waste products. Bellis perennis 4X contains etheric oils and saponins that support metabolic functions throughout the body. Glechoma hederacea 6X helps regulate carbohydrate-lipo- and protein and cleans the tissues. It also is beneficial for dealing with harmful effects to the body caused by heavy metals, chronic diseases, respiratory conditions liver/spleen dysfunction and anemia. Hedera helix 4X helps the body resolve chronic inflammation, liver dysfunction and rheumatic conditions. It also treats bronchial conditions, and supports thyroid gland function and hormonal activity. Juglans regia 6X is well-known for its ability to treat gland inflammation, amalgam-related conditions, bone disease, stomach/colon inflammation, chronic eczemas and lymphatic problems. Not often found in modern complex medications, Sempervivum tectorum 12X is used to treat hard tumors, high fever, intestinal problems, wounds and blood poisoning.